A new Assistant Inspector General (AIG) of Police, Mr. Lawal Shehu, has resumed at Zone 2 Command Onikan, Lagos, reports ITREALMS. CSP Dolapo Badmos, Police Public Relations Officer, Zone 2 Command, Onikan, Lagos, confirmed this to ITREALMS, noting that the new Assistant Inspector General of Police to head the Zone is AIG Lawal Shehu. 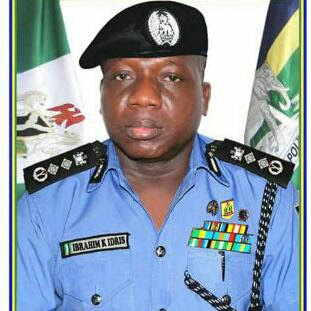 Shehu who took over from AIG Adamu Ibrahim who recently retired, resumed duty on Wednesday.21st of November, 2018. Born on 24 December 1960, AIG Lawal Shehu is an indigene of Katsina State, who joined the Nigeria Police Force as Cadet ASP in 1988 and has worked within the force in various capacities. ITREALMS gathered that prior to his promotion to the rank of Assistant Inspector General of Police, he headed Bauchi and Nassarawa States as Commissioner of Police. Further, ITREALMS gathered that on his promotion to the rank of AIG, he was deployed to head the force's Border Patrol Unit, and was later moved to Criminal and Intelligence Department, Force Headquarters Abuja, the office he occupied until his redeployment to Zone 2 Command Onikan, Lagos. AIG Lawal is an ardent reader of books and is married with children.